Sydney’s industrial property market continues to rise on the radar of investors, with buyer demand for prime assets increasing in tandem with improving business confidence. CBRE’s Q4-2013 Australian Industrial MarketView report highlighted 13 major industrial transactions valued at more than $5 million during Q4, reaching a total of $1.56 billion – 49% higher than during the same period in 2012. 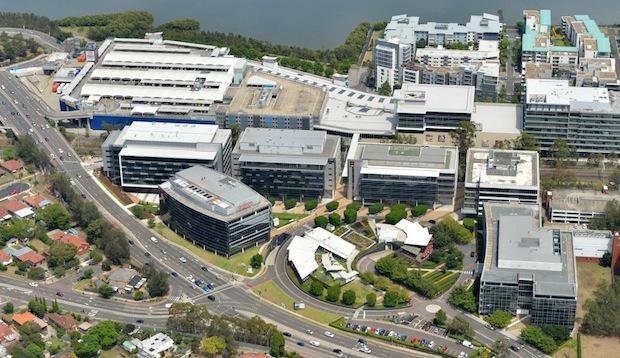 The largest industrial sale to transact in Sydney during the last three months of 2013 was Sydney Corporate Park – a 117,000sqm development in Alexandria that sold for $343 million in December. CBRE Senior Director, Industrial Investments, Matthew Lee said investors remained highly active in Sydney’s industrial market. “There is a real spark of investment activity in Sydney’s inner-ring suburbs, with sales running hot in areas located in a 10 – 15 kilometre radius from the CBD such as Lane Cove, South Sydney and Kingsgrove,” Mr Lee said. Mr Lee went on to say that investors were content to sit patiently on inner-ring assets in order to unlock their full potential. CBRE Senior Director of Industrial Investments Angus Klem said on the outskirts of Sydney, investors were targeting ‘safer’ assets. “Institutional investors and property trusts are looking at more passive plays, which typically comprise traditional assets with long term leases around the main ring roads - M4, M5 and M7,” Mr Klem said. Strong investor demand for prime assets saw Grade A warehouse yields compress slightly across all Sydney’s sub markets in 2013, with the exception of the outer-south areas. Despite weak leasing demand across Sydney, supply levels are forecast to increase in 2014, with an additional 700,000sqm of space in the development pipeline for 2014. The largest blocks of new supply are in Sydney’s central and outer-west regions, where 300,000sqm is due for completion. CBRE Associate Director, Research, Claire Cupitt attributed the underperformance of Sydney industrial rents in 2013 to supply levels. “Since 2010, supply has and continues to outweigh demand, which has provided little movement for rental growth in Sydney’s industrial markets,” Ms Cupitt said. Subdued demand and growth conditions within the sector underpinned soft rental growth in Sydney during 2013, where year-on-year rents dropped 1.7% to below the national average.